The procedure benefits all industrial members of GSCN. The only thing they have to do is to submit an application to the network and pay an annual fee of EUR 250. For more information about how to join GSCN, please check the application guidance. Certification bodies and testing laboratories can look up the requirements for service offers via GSCN in the Working Rules Annex A. In these cases, the annual membership fee is EUR 125. Supporting organisations can become members for only EUR 75. The network comprises manufacturers, test labs and certification bodies from the USA, Europe, the Middle East, Australia and China. “We are currently approving membership applications by test and certification bodies from these regions,” Nielsen said. These candidates will only become members if they accept lab reports from selected other regions. GSCN discusses mutual recognition with each one of those test labs and certification bodies and is confident that most applications will be processed within the first three months of 2018. The network’s invitation extends to manufacturers of many types of collectors. “All collectors which are within the scope of the ISO 9806 standard for collector testing, such as flat plate, air, vacuum tube, uncovered and concentrating collectors, are potential candidates for easier certification,” said Nielsen. A GSCN manufacturer that has already received a certificate from a certification body member of the network applies directly to the “new” certification body (also a member of GSCN) which issues the certificate the manufacturer wants next for its product(s). The manufacturer shows the existing certificate to the "new" certification body and asks the test lab and inspection body which did the testing and inspection to provide both reports to the "new" certification body. Test lab and inspection facility must be recognised by the “old” as well as the “new” certification body. If no more testing is required – or when additional tests have been completed – the manufacturer will be granted a licence to label his product with the “new” certificate. Fees to involved test labs / inspectors might apply, but these fees will be much lower than the costs of re-testing. The next GSCN meeting will take place in Spain’s capital, Madrid, on 7 March 2018. 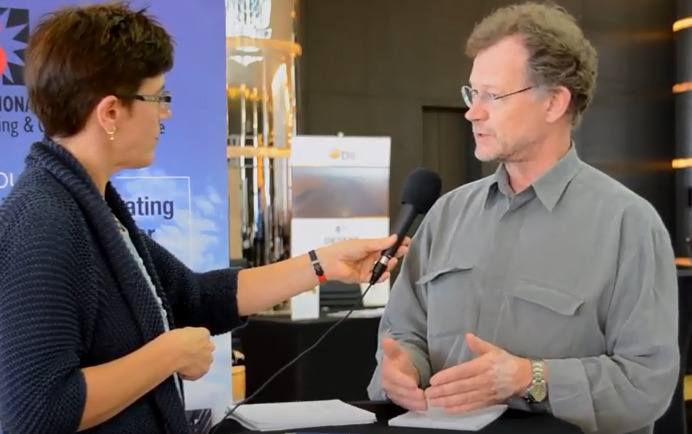 GSCN Chairman Dr Harald Drück from the Research and Testing Centre for Thermal Solar Systems at Stuttgart University is inviting solar manufacturers, test laboratories and certification bodies from all corners of the globe to attend the meeting.